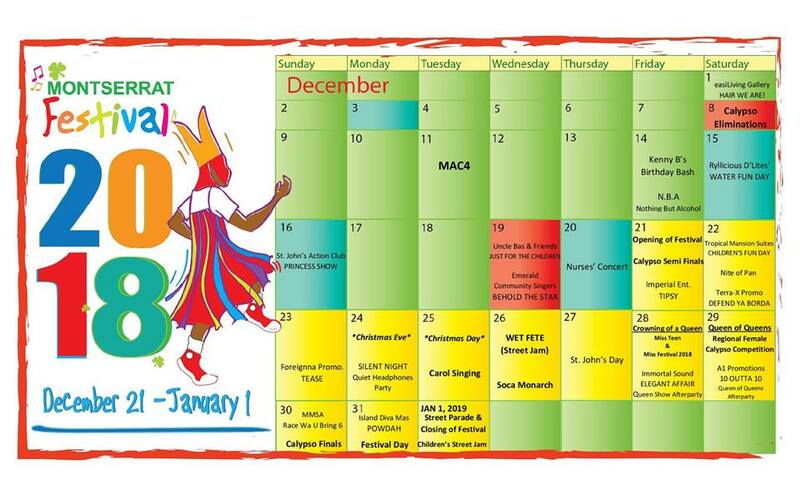 The Montserrat Arts Council has released an updated version of the upcoming festival calendar. You will note the date for the MAC4 exhibition has been moved to December 11th. It was originally to begin today. Other changes, include the merger of the teen and queen pageants and the addition of more children and family fun day events from community partners. Sharing photos from festival events? Use the #discovermni and #monfest2018 hashtags so we can share your work with our readers.